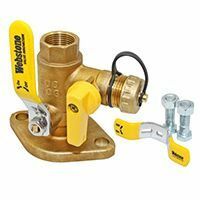 Webstone Valves (a NIBCO-owned company) focuses on manufacturing innovative valve solutions for the plumbing and heating industry. 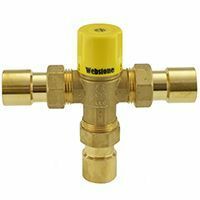 Many Websone products, such as ProPal, EXP and Isolator series, combine several products into a single unit, resulting in significant time, space and labor savings. 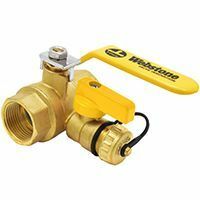 ProPal series ball valves with integrated full-port drain valve (1/4-turn style) with garden hose thread and cap. Isolator series circulator pump flange valves in various options - with drain, IFC (check valve), rotating flange, etc. 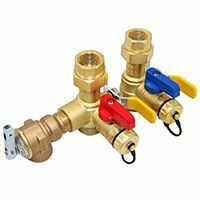 EXP series valve kits for gas and electric tankless hot water heaters. Compatible with all major brands. ProPal series primary-secondary purge tees power-purge individual loops (circuits) in hydronic heating systems. 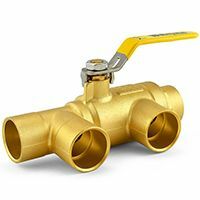 ProPal series purge & fill ball valves allow to drain, flush and fill any hydronic system quicker and easier. 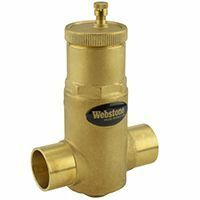 Competitively priced air eliminators in sweat, threaded and press connection styles and sizes up to 1-1/2". 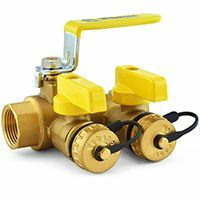 Competitively priced mixing valves in sweat, threaded and press connection styles and sizes 1/2", 3/4 & 1".